Remember the childhood days, where we were told to revise our answer sheets before submitting? Do you know why? It was in order to correct any spelling or grammatical mistake done. Similarly, even today we need to proof read what we have written in order to avoid facing an embarrassing situation because of typos and grammatical mistakes. Even if we are confident in what we know but while writing there happens mistakes which lead to embarrassment. In order to avoid such situation, one should always proof read what he has written. Now, how to do that? Do we need to always pay to the grammar checker who proof reads for us? Isn’t there anything which can help us with this problem? Hold on! I have something to introduce it to you. A tool which can ease your life. Something which will make you independent and after adopting it and adding it to your list you don’t have to be dependent on someone to proof read your content. Curious to know what it is? Which tool is it? And want to know how will it not only ease your life but also improve your writing skills? 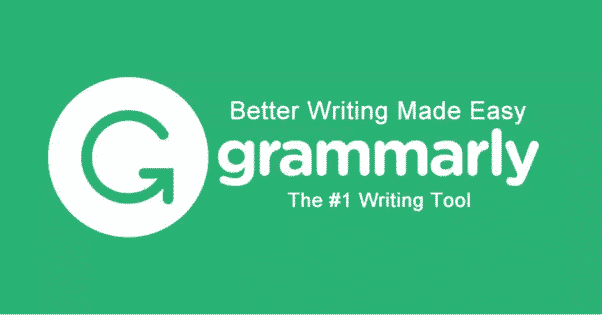 GRAMMARLY is a tool which helps you check grammar and relieves you from the pain of proof reading. 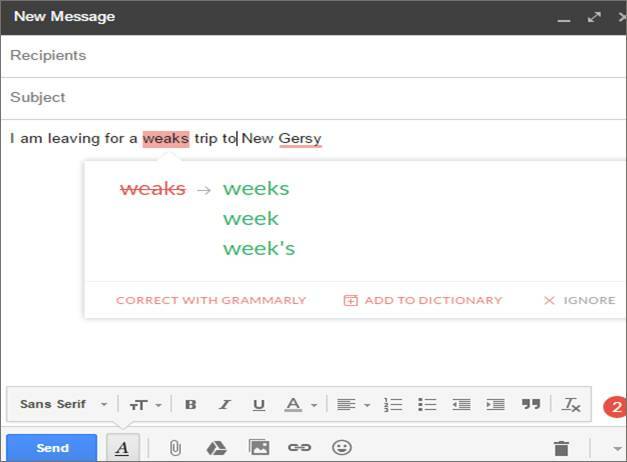 Advertised as the world’s most accurate grammar checker, Grammarly can fix up to 250 types of errors, and can provide plenty of other features that will help users improve their grammar and vocabulary. 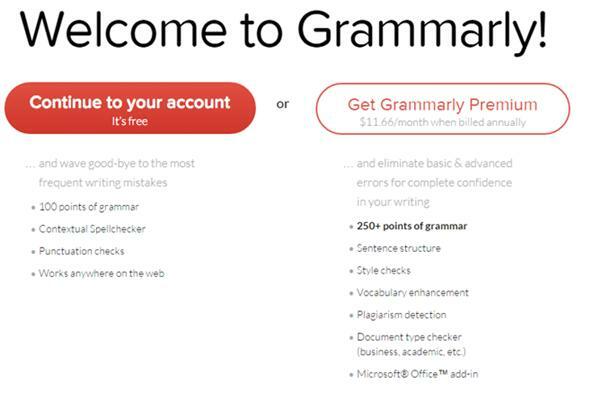 Not only this, a lot of its features are absolutely free, which means without paying a single penny you can use GRAMMARLY and become an expert. It’s available as a browser extension, a Microsoft Office add-in, a desktop app you can install on your computer, or a web page you can visit. The site itself, GRAMMARLY, claims to be the number one grammar checker tool that proofreads your content and tell you the mistakes. Hardly in a minute, it detects all the mistakes in your content and tells you the correct answer. In hurry, it usually happens that we make typos and grammar mistakes and these mistakes are the most embarrassing ones. Silly grammar mistakes like writing “their” instead of “there” or missed to add a punctuation or use of incorrect article. Not only this, Grammarly also offers the services for plagiarism and vocabulary suggestion. By using GRAMMARLY as a grammar checker tool, you can easily get a summary of your mistakes and then they can be rectified. GRAMMARLY aims at improving the writing who so ever wants to write, be it a student, a blogger, a writer, a teacher or anyone. IS IT EASY TO USE GRAMMARLY? 1 IS IT EASY TO USE GRAMMARLY? 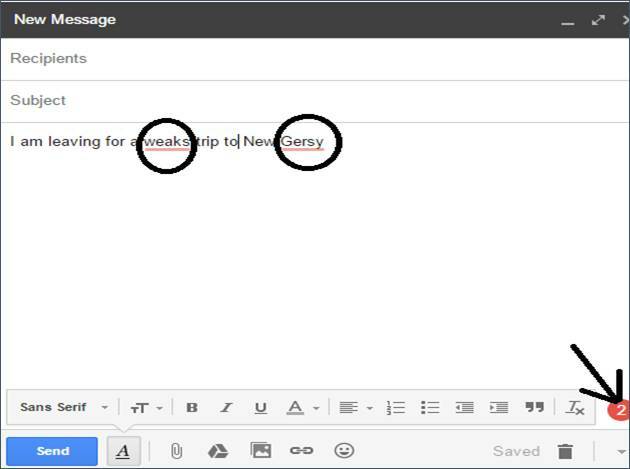 2 Let’s show you practically how easy it is to use GRAMMARLY. 5 IS GRAMMARLY GOOD FOR ALL? 8 WHICH GRAMMARLY VERSION IS BETTER, FREE OR PREMIUM? 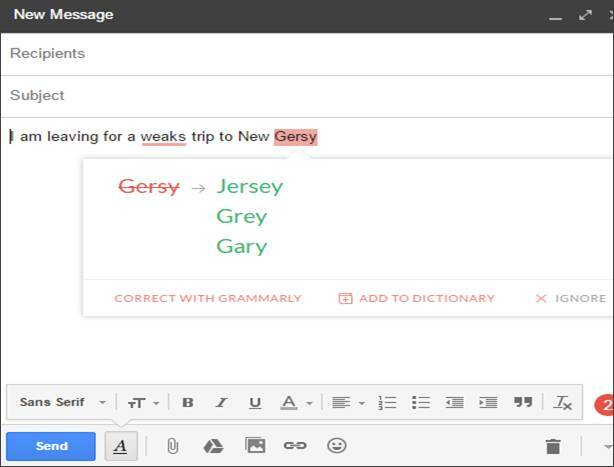 GRAMMARLY’s browser extension helps you write mistake-free in Gmail, Facebook, WordPress, Tumblr, LinkedIn, and anywhere else you write on the Web. Simply hover over any word with an underscore to correct a mistake. Using GRAMMARLY is not that difficult. It’s just like using Google Docs. You have to log onto GRAMMARLY via a web browser. As soon as you log into GRAMMARLY, you will have your own dashboard. On that dashboard you just have to open a new document and begin writing. Don’t want to write on the dashboard or have an already written document? Simply paste that work into the new document and get the analysis. As soon as you update your work, with in a minute, it underlines the mistakes with red. It not only gives you the correction suggestion for it but also gives you a detailed explanation about the reasons why you’ve made a mistake. Let’s show you practically how easy it is to use GRAMMARLY. I was writing a mail and in a hurry made spelling mistakes. GRAMMARLY was added as an extension in to my browser so it immediately notified me of the mistakes I did, with red underline and showed me what the rectified answer is. There were 2 mistakes in the content and GRAMMARLY caught both. Similarly if you do not see any red line in your content that means you have no grammatical or spelling errors. I as a writer, have come across many problems while writing. Sometimes I do typo mistakes in hurry, sometimes the grammatical errors and proof reading really piss me off. Thanks to GRAMMARLY which has solved my problem. Suppose a spelling mistake has been done in the content. Now when you click on an error, the grammar checker presents an explanation of the problem. My habit of using wordy sentences and overuse of passive voice got better after I started using GRAMMARLY. 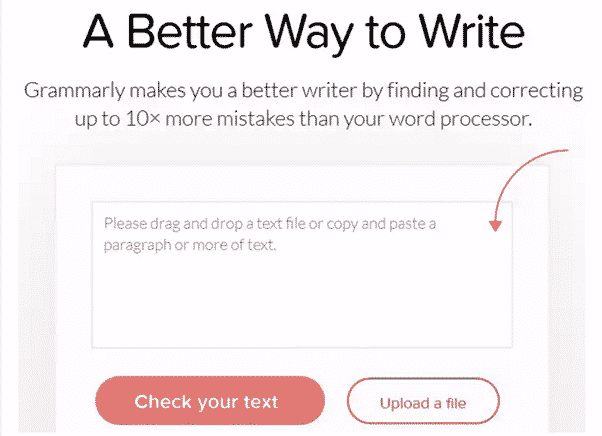 GRAMMARLY being an online grammar checker software, offers a knowledgebase and comprehensive Usage Manual with demonstrative screenshots in order to show you how to log in and access this online grammar checker. You can easily post questions/queries to an online forum and interact with other users. The FAQs page help you to get the answer of any questions you may have. But yes, there is no live chat option available with GRAMMARLY as of now. IS GRAMMARLY GOOD FOR ALL? Can’t write that fluently in English? Are your English basics strong? If the answer is NO to both the questions then Grammarly is a good grammar checker tool for you. GRAMMARLY helps you check for grammar, spelling and punctuation mistakes faster but in any case you need to be strong with your grammar fundamentals. Nothing in this world is perfect, so how can a tool or software won’t have flaws. Everything has its own advantages and disadvantages. So let’s have a look. Helpful tool for new writers and Non-English speakers. A helping hand for the self-publishing authors. Available as a web app, desktop software and as a Microsoft Office Add-in. No replacement for the human proofreading. Can’t change the spelling from US TO UK. Grammarly cannot be accessed with the internet connection. So in order to make the best use of the tool, users must have an internet connection. GRAMMARLY is not merely a grammar checking tool. It has many other add on features as well which will help you make your content a perfect one. But these add on features are available only to the premium account holders and the free account holders have no access to it. This is the feature I like the most in GRAMMARLY. In this feature, the tool scan the article and find the words that are repeated. Then it suggests different words with the same meaning. Now you can replace these words with the suggested words. You can enable Vocabulary Enhancement feature from the left-hand sidebar as shown in the image. This amazing feature in GRAMMARLY add on a lot to this tool. The most important requirement of a writer is a plagiarism checker tool and if you too are a writer then you need it right away. As a writer you need this tool to check whether the content you have bought from others writers is original or copied and here comes the role of this tool. This not only check grammar but also check plagiarism and left you know the reality of the content. You can enable this tool from the left-hand sidebar. When you enable it, the tool will scan the complete article and compare it with its database of 8 billion pages to show you if it is original or not. The screenshot above shows that the content is copied and is plagiarised. WHICH GRAMMARLY VERSION IS BETTER, FREE OR PREMIUM? Grammarly offers you two different packages. One is the free version, and the other one is a premium version that comes with additional features (which is the paid one). As soon as you sign up with GRAMMARLY, it asks you whether you want to continue with the free version or you want to upgrade to a premium account. This decision is completely up to your needs. If you can fulfil your needs with the features offered in the free version then opting for a paid version is of no use. With the Free version, you get a tool that will check for 100 points of grammar, contextual spelling, and punctuation errors. Yes, it is free, but as long as you use the Google Chrome, Mozilla or Safari browser with the extension installed it will work anywhere on the web. Take an example, you are just an article writer which involves only writing of articles, then I would suggest you not to go for a premium version and opt for a free version of GRAMMARLY. But you are getting the articles written from other writers then you need a tool to check the originality of the content. And this feature of plagiarism is available only in the premium version. The premium plan starts at $8.75/month when billed annually! Being a writer, I have been advised by numerous people to use Microsoft word in order to write error free content. But the day I tried Grammarly, my world has changed. Grammarly has made my life easy. It has changed the entire scenario of proofreading. The work of spelling errors, punctuations and common grammar mistakes, which a person with minimum knowledge of grammar can commit, are self-corrected by Grammarly. This tool not only gives ne error-free content but also helps in improving the level of my content. The vocabulary enhancement tool has added a lot to my knowledge. Unlike Microsoft Word, this online grammar checker tool not only points our errors, it also lets us know the type of error made by us in our writing. It gives you complete explanation of the mistake committed by you. By using Grammarly, apart from the common mistakes like grammar mistakes, spelling errors and vocabulary, I now got to know about many other errors like Wordiness, Colloquial Speech, Punctuation between and within a clause error and other types of lesser known errors. And what add on to this tool is the Microsoft Word Add-in; which means I don’t have to visit Grammarly website every time I want an error-free article or blog post. Not only this, it also provides a desktop software which makes it easier to use. So I can use Grammarly on the web, on my laptop without an internet connection and also alongside Microsoft Word. Isn’t this cool enough for a writer? Grammarly is a must recommended tool/software for every writer, author, blogger, fresher who wants an error-free article/content. This tool left me speechless when I started using its features one by one. Unlike other tools, Grammarly does what it promises. The amazing part is it even gives us an explanation how something is wrong, why it is wrong and how to correct it. Never saw such an excellent tool in my writing career. This online grammar checker tool/software is thorough and accurate. Simple and easy to use without requirement of any technical knowledge. This grammar check service has a high Accuracy Score and recognizes a variety of common grammatical errors. However, it does not catch everyone but do catches the most. Grammarly should not be considered the final word in spelling, syntax and grammar, but it is a helpful aid when you need a spelling and grammar check. In addition, its extensive explanations and personal grammar handbook can teach you grammar rules as well. Using Grammarly for your personal or professional work, let me know your experience. Even if you come across any other tool similar to Grammarly, would love to know about it.